Alpine Quest Sports is central Colorado's largest climbing, kayaking, rafting, alpine touring, backcountry and telemark ski shop. AQS's on-line & retail store is loaded with everything you need to get outdoors and have fun. Kickass microbrewery that keeps the beer flowing in Eagle, CO, and throughout the state. 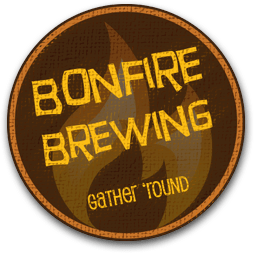 Enjoy Bonfire beer at their downtown taproom, or wherever your adventures may take you. Gather 'round! Candi Johns Salon, conveniently located in Riverwalk at 26 2nd Street, Edwards, Colorado. We are here to make your hair dreams come true! Colorado Mattress Company is your source for mattresses, bed frames, accessories and more in Vail and Eagle County. 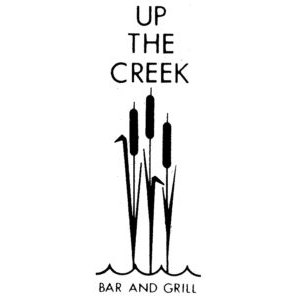 Centrally located at 171 Main Street in Minturn, CO, we've been serving the Vail Valley for over 20 years. 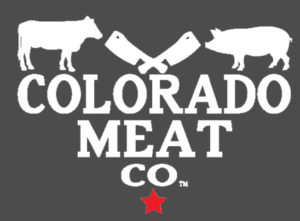 Colorado Meat Company is an artisan butchery in the heart of the Rocky Mountains. Offering locally sourced, sustainable Colorado meat products available at 51 Beaver Creek Place in Avon. Cripple Creek Backcountry is the only shop in the country dedicated to human powered skiing and snowboarding. Whether it is Alpine Touring, Telemark or splitboarding we have the gear, knowledge, and experience to get you ready for you next ski adventure. Come hang with us in Vail to talk about living the dream and enjoy a hand pressed espresso or Micro Brew with us. Since 2004, eat! drink! and cut has given the Vail Valley an epicurean oasis second to none. With over 100 artisan cheeses from around the world, specialty gourmet foods, boutique wines, hand crafted beer and spirits and a plethora of delectable meats and seafood items, homemade prepared foods to make your daily grind easier, and gourmet salts and sauces to spice up your life. ; we believe that every day should be savored to the fullest, so get your epicurean self in here! 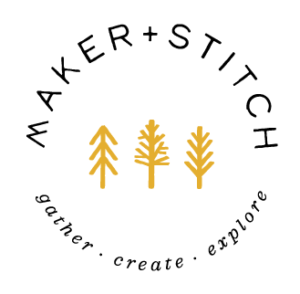 Maker+Stitch is a destination yarn shop in the heart of the Colorado Rockies where knitters and needle artists gather to create beautiful handmade pieces. We believe creativity is the truest form of connection. Located just outside of Vail in Edwards, and inspired by our magnificent mountain setting, we welcome you to come knit with us -- in our shop and in the nature surrounding us. Minturn Anglers, the premier full service fly shop and guide service in the Vail Valley providing service to Minturn, Vail, Beaver Creek and beyond. The only locally owned and operated fly shop in the area. Handmade, Unique & Colorado-Made Jewelry, Portofino Jewelry is an extraordinary place designed to fit the needs of everyone! Portofino has a variety of items including watches, diamond rings, wedding bands, sterling silver & fine jewelry, handmade-in-Colorado jewelry, fashion jewelry, and clothing. We have a extensive selection of beads, findings and charms to make your own one-of-a-kind designs. We offer jewelry & watch repair, link adjustments & watch batteries. Portofino also offers custom designs. No job is too big or small! Visit us for a refreshing experience. At Root & Flower, we offer over 50 by the glass pours of wine, an extensive bottle selection, craft classic cocktails, and an ever changing food list distinguish Root & Flower as one of Vail’s most versatile watering holes. Crafted with the concept of bridging the gap between food and drink in Vail Village, we offer an approachable elegance for guests to stop by and enjoy a tasting experience, or to spend an evening with an old favorite. Solutek in Edwards is your provider for Boost Mobile and all of your electronics repairs. Come in to get your mobile repaired or glass replaced, or computer diagnosed with a local professional! Located in the heart of Minturn, SUNRISE serves specialty coffees and breakfast & lunch all day. We believe in serving our community and those visiting by providing high quality food in an eco friendly modern alpine environment. 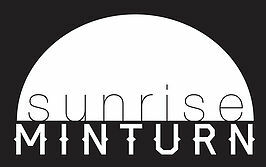 We invite you to experience SUNRISE! Sweet Pea Designs in Avon is committed to creating beautiful flower arrangements and floral gifts for any occasion. From Anniversary and Birthday flowers, to Valentine’s and Mother’s Day flowers, Sweet Pea Designs has the best selection of floral designs for every unique event. Two Arrows, a community space for waking up with craft coffee and fresh local provisions located in the heart of Vail Village. Join us for a luxury experience or fuel for an adventure or need a little company. The UPS Store in Avon, Edwards, and Vail, Colorado was built to help small businesses like yours by offering various business services at our one-stop shop. Through our relationships with valued service providers, you'll get exclusive deals on the types of business services you need most. Don't hesitate to call, we do more than just provide shipping services; Printing & Copying Services, Mailbox Services, Mailing Services, Freight Services, Packaging Services, and more! Vail Catering Concepts is chef owned and operated. What we do the best, is serve high-end restaurant quality food for dinner parties, weddings and events. Whether you are having an intimate dinner for two, a wedding buffet for 300 people, a corporate reception, an event for 1000, or simply need a nice dinner dropped off, my intention is for it to be the best dining experience you have had! Rolfing® is a systematic soft-tissue approach to total structural alignment. Vail Valley Rolfing, founded and operated by Jeff Draper, B.S., is a Certified Rolfer® and Cold Laser Therapist as well as a Personal Trainer. Utilizing a broad spectrum of treatment approaches, he specializes in relief from chronic pain conditions as well as post-rehabilitation from acute injuries, and performance enhancement. At Village Bagel we are passionate about food made the old fashioned way, and the places where people gather with a shared happiness to eat the foods of their youth. We are your neighborhood bagel shop in Edwards, shmearing happiness one hand-rolled bagel at a time. Come in to the shop where all the action is, order online to take your food on the fly, or call us to handle your next event with our catering service.